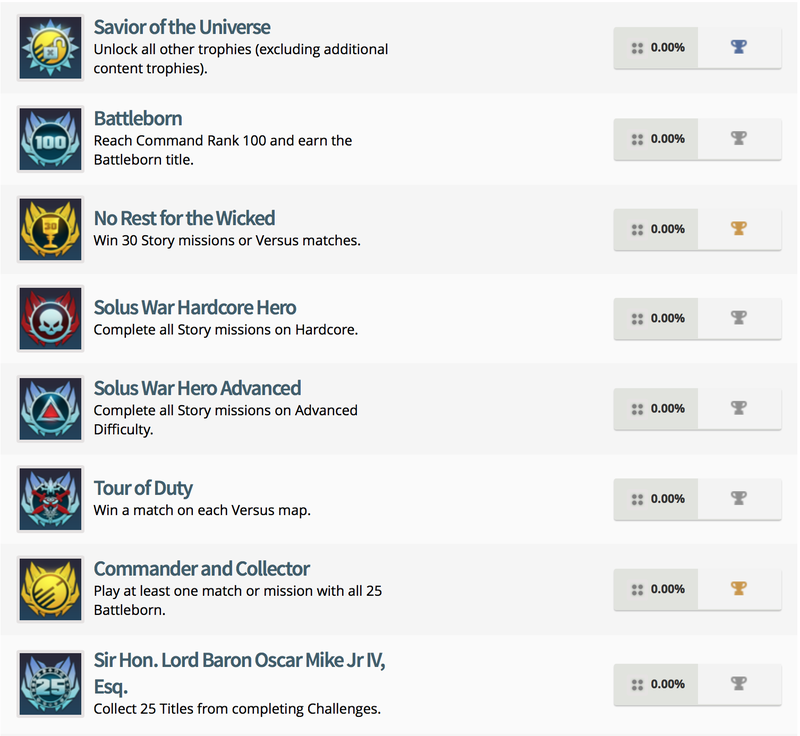 Less than two weeks out from release, Exophase has unearthed the trophy list for Gearbox’s imminent hero shooter Battleborn. Comprising 51 trophies in total, the collection of accolades can be broken down into two Gold, 10 Silver, 38 Bronze and of course, that one Platinum. Buoyed by the success of the recent beta test, which attracted over two million players across all platforms, Gearbox is now putting the final touches to its new IP ahead of launch. But Battleborn‘s support doesn’t end on May 3, with plans in place for free heroes to be rolled out in the months ahead. Battleborn launches for PS4, Xbox One and PC on May 3.